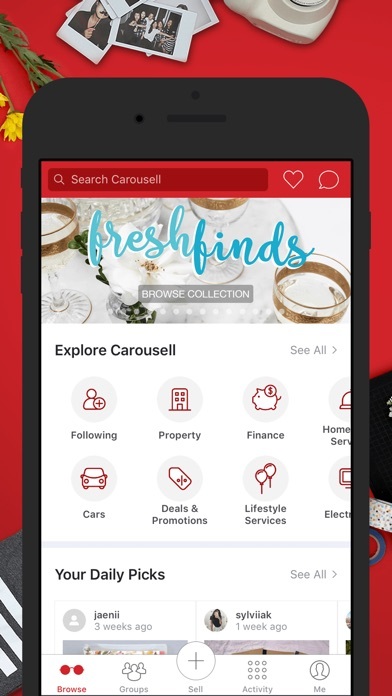 Carousell is a community marketplace that lets you Buy and Sell everything from fashion, clothes, accessories, beauty products, furniture, art, books, branded goods, cars, bikes, and antiques to houses. 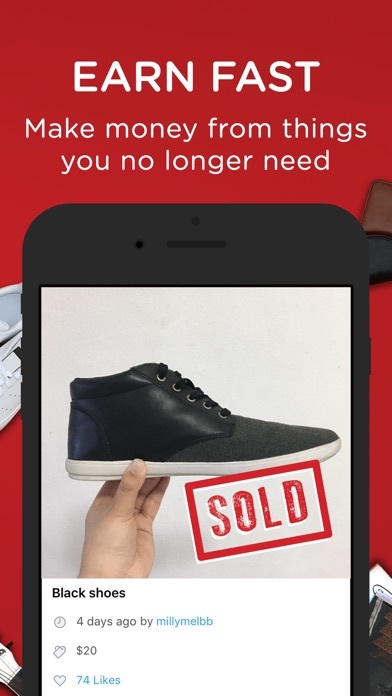 + Declutter your closet, room, or home of old stuff by putting them up for sale on Carousell - it's the best place to find a new home for your pre-loved items. Are you a hoarder? Running out of storage space for new purchases? • Create beautiful listings in 30 seconds to sell or shop from a massive online marketplace wherever, whenever. • No listing fees, commissions, or extra charges... Its totally Free to buy and sell! 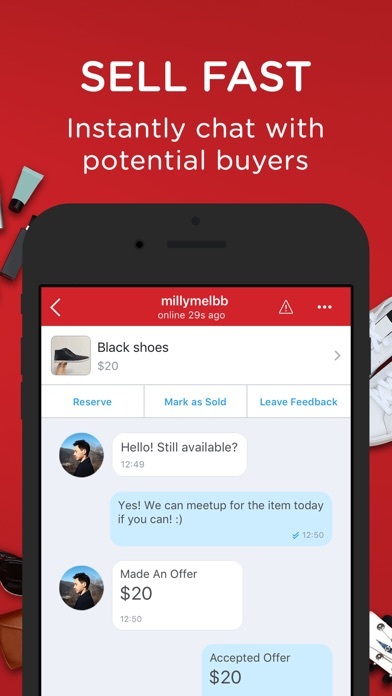 • Customised search with keywords for fast and easy shopping • Chat with local and foreign sellers & buyers with a single tap • Let go of your preloved and make money, while discovering great deals • With Carousell Groups, you can buy and sell in interest groups, neighborhood groups, school groups and more! It’s more trusty and fun to buy and sell in a community that you and fellow members care about! 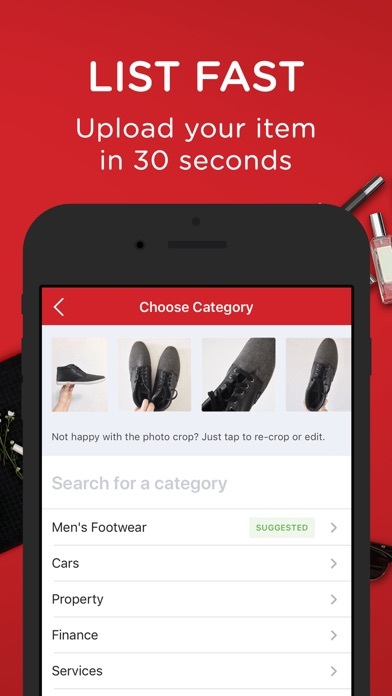 • Set up your very own mobile and web e-commerce store quickly and seamlessly – its as easy as posting on Instagram ;) For Sellers… • Offerup your preloved items free up garage / storage space and make money at the same time • Snap, List, Sell: free listings with up to 4 photos to sell your new and used / secondhand items + in-app editing features • When listing something for sale, you can post it to multiple Carousell Groups to reach more buyers! • Instantly share listings on Facebook Pages, Groups, and Timeline, Twitter and Instagram • Raise the bar on your street cred by accumulating positive member feedback from other Carousellers • Earn a verified badge to boost your credibility by connecting via Facebook and verifying your email • Share beautiful promotional images, magically generated from your Carousell profile and listings, across all your social networks For Buyers... • Effortless catalog-like browsing for unique items • Great variety of secondhand branded goods like designer bags, shoes, makeup and beauty products, to watches and automobiles. 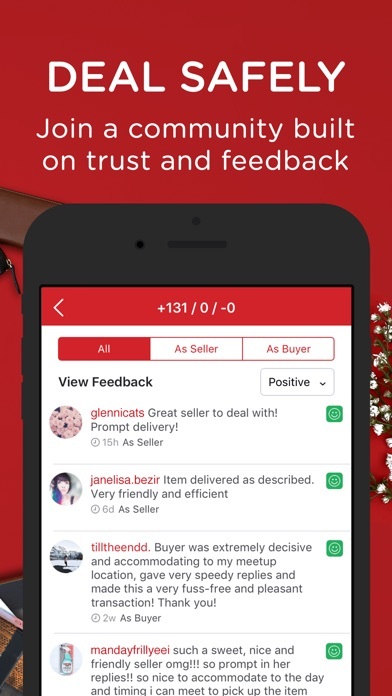 • Private Chat feature within the app to talk to sellers, to make an offer or buy the item, negotiate prices, or ask for more images • Safe transactions with trusted sellers: Find out other users' experiences on any seller by checking out their member feedback • Get the best deal or bargain in your neighbourhood or country across over 18 categories • Sort items by Nearest, Recent, and Popular, and by Location • Personalize your marketplace by following your favourite community members to get updates on new listings Carousell is currently supported in Singapore, Hong Kong, Malaysia, Philippines, Indonesia, Taiwan, Australia, New Zealand and Canada. > What people are saying about Carousell... "Carousell is a great way to shop, trade, and let go of items. It definitely helps me to reduce the clutter at home. At the same time, your item can be passed on to buyers who would like to own them." — @xmeowmeowx “We weren’t sure of how to go about selling our products and Carousell has offered a convenient and user-friendly platform for us to do the job” — @playfulsloth.com “CAROUSELL IS THE BEST THING THAT HAS HAPPENED TO ME.” - @GANJADOLLXO -------- Learn about our upcoming updates & say hello: https://www.carousell.com https://www.facebook.com/thecarousell https://www.twitter.com/thecarousell Follow us on Instagram at @thecarousell Shoppers have commonly searched for us under the names Carousel, Carou-sell, Snapsell and Snap Sell. Disabled advertising preferences and all notifications except new chat messages, yet still receive ad notifications a few times daily. Dishonest company that doesn’t honour its notification preferences. What a shame. I’ve tried to sign up and create an account, but where it says to select a country there’s no United States option. I already switched off marketing and promotions notifications yet I still receive them on my phone. Wouldn’t let me choose my own country (usa) and then nothing but error messages. AS MUCH AS I WOULD LIKE TO TURN OFF THIS APP’S NOTIFICATIONS ENTIRELY, I CAN’T FOR THE REASON OF WHEN SOMEONE CHATS ME ABOUT MY PRODUCTS. I turn on notifications for messages, not for random awful Carousell-driven promos. This should not be allowed! Such noise. I love Carousell. It’s very user friendly. I would have rated 5 star If only we can promote our post for free. Or at least have a way for us to earn some free stars to purchase likes maybe. Sort of like Instagram. Cuz there’s too many fakers out there. What’s the point of having an option to select what kind of push notifications I want to receive when I keep getting spammed with ads for their services that abuse the notification system. Absolutely shambolic. More by Carousell Pte. Ltd.